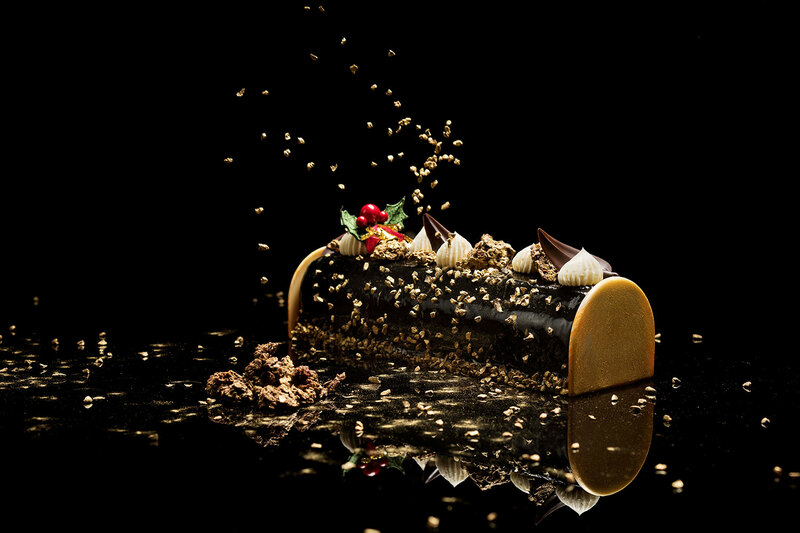 Have a Conrad Christmas at home or in the office with lavish handcrafted takeaways. Be spoilt for choice from the selection of luxurious Logcakes from rich dark chocolate and raspberry to Orange-infused cheesecake on a speculaas base, and macchiato whisky for the extra boost. Orange Cheesecake Log – orange-infused cheesecake on a speculaas (spiced shortcrust biscuits) base. 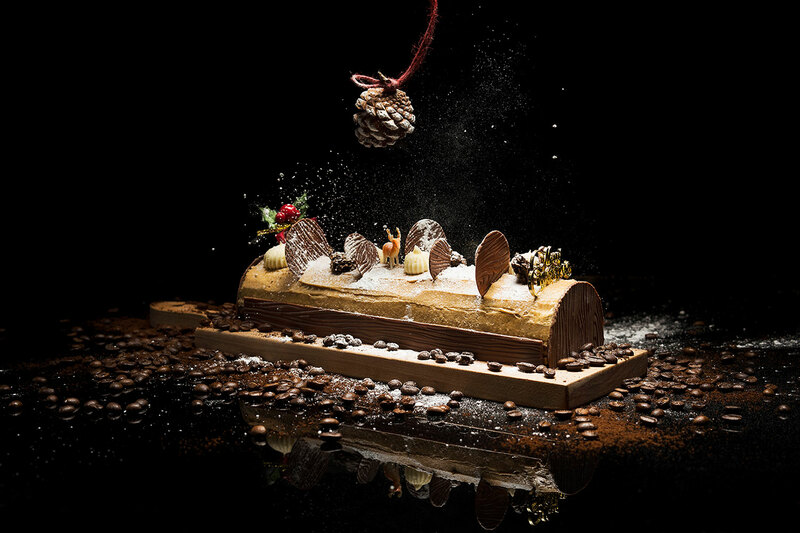 Macchiato Whisky Log (contains alcohol) – chocolate whisky sponge with caramelised hazelnuts and coffee macchiato butter cream. Indulge in Christmas roasts such as Whole Roast Turkey with Chestnut and Herb Stuffing, Honey and Pineapple Glazed Boneless Smoked Ham, Roast London Duck or Slow-Cooked New Zealand Ribeye. Also available is the Conrad Luxury Dinner Pack at S$328+, consist of a whole roast turkey, honey and pineapple glazed boneless ham, choice of a logcake and two bottles of wine, is value for a family of eight to ten persons. 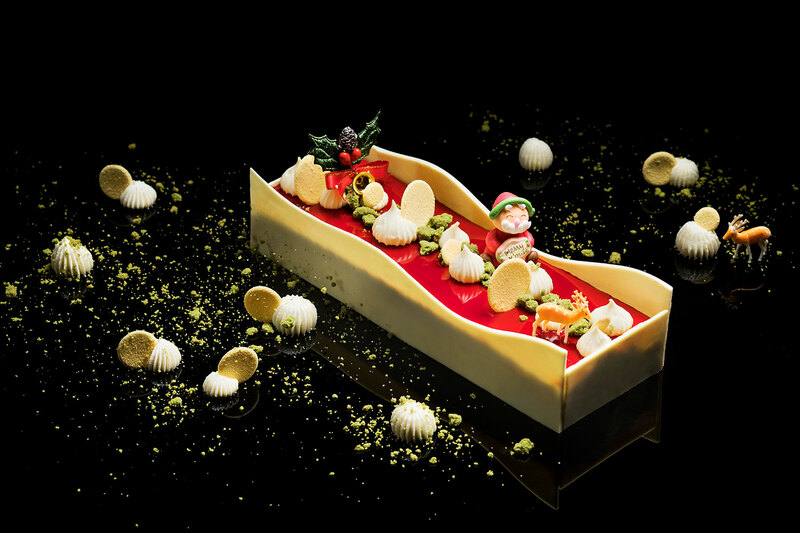 Available from 27 November to 25 December 2017 and early-bird orders begins from 6 November 2017 at www.connoisseur.sg/christmas-takeaways or at The Terrace.